“The moment in my life when the doorway to loss occurred was on a winter’s day, December 12, 2011. The painful experience will never be forgotten. My 21 year old daughter, Shayla Rae Dawn Driver’s life was tragically taken in a single vehicle accident. The treacherous McKinley Landing Road was notorious; years of cars driving off the deadly curves and crashing into the reservoir had seen many accidents occur. Before Shayla died, in 2009, a woman in her vehicle plunged into the icy waters. The difference between her mishap and my daughters was she would survive while Shayla would not. The other contrast was that nothing was done in 2009 to bring safety measures to McKinley. This blatant oversight haunts me every day, as had changes been made to a road well known for crashes, I believe Shayla would be alive. After her passing, I could have chosen to grieve and simply walk away from her death, without campaigning for the road to be fixed. Yet, I could never live with myself if someone else died. I chose to throw my heart-ache in supporting change to McKinley Landing Road. As I reside at the coast, I would spend the months after her car accident, travelling back and forth to the Okanagan. I became more than a bereaved mother; I became a campaigner for a cause near to my suffering. I spoke to those who would listen and even when I was told: “There is no more story to report on…it’s over, let it go”- my sadness was fuelled by a desire to seek justice thru change. I have come to accept that I deserve the right to be heard, for if one person’s life is spared as a result of me retelling the painful story-repeatedly- then it is worth it! This summer, Mayor Walter Gray and Council of Kelowna, awarded over $500,000 to finally bring safety repairs to the road my daughter lost her life on. Construction work began on October 1st, 2012 and is now completed. It is bittersweet to know that it took only 8 weeks to fix the road. Had it been done years before, Shayla’s life may have been saved. Since her passing, I have been her voice that was silenced. I have advocated for improvements to the road and shared with others about my immeasurable loss. Yet, I have refused to let my daughter be remembered merely as a statistic. Her presence in this world will not be forgotten for Shayla was a woman devoted to social justice; a young girl passionate about community- especially matters of the heart. She was in her third year of schooling; attending Thompson Rivers University (TRU) and pursuing a degree in Social Work. Over the years, her many contributions included volunteering with The United Way and the Canadian Mental Health. Two years in a row, she slept outside at TRU for the annual Camp Out on Campus. Her participation stemmed from those who were homeless and she showed her support by bringing awareness to the cause of those less fortunate. By giving up the comforts of her own home, she experienced what it was like to be without proper shelter. Growing up, she involved herself in events to assist the Canadian Cancer Society, Gospel Mission, along with Lake Country’s Boys and Girls Club. Her belief was people should experience firsthand and volunteer of their time in order to make a difference. Seven years involved with the Air Cadets helped to instill dedication and respect for others. Shayla’s main passion saw her spend her life involved in dance as a means of expressing the carefree spirit she was. Her fluid movements conveyed a story; a testament of the joy she felt in giving and receiving. When a fellow student lost their life, in an act of mercy towards his family and friends, Shayla created a video and dedicated a dance to him. Those who were blessed to know her saw Shayla devoted as a person who treated everyone as equals. For as she grew, so did her golden heart and she would give thanks to her creator through her faith. A reflection of who she was someday to become is evident in the legacy she left behind. My daughter stood up against bullying and fought for the underdog. Those who loved her gained a world of insight to those in need because of Shayla’s compassion. In recognizing her contributions, it honours her as a person and not just a causality of poor roads. It takes a statistic and breathes life back into the soul of who my daughter was. Furthermore, the notion of suffering in silence does not apply to me. 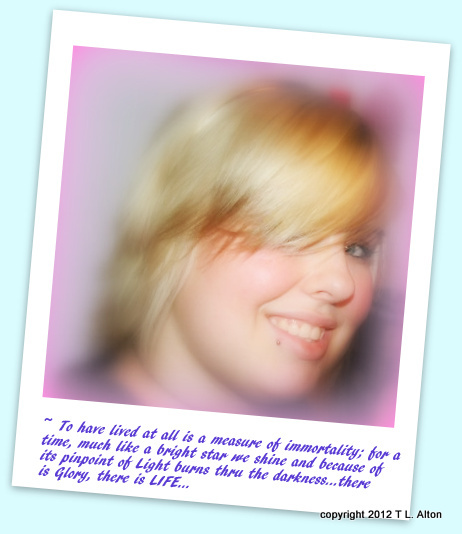 I have preferred to share Shayla’s passing with others, as my disclosure of emotions is my way of recognizing her loss. It is also my hope that bringing awareness to this campaign will make others realize that this tragedy could happen to them. That what separates me from the average person is a split second of uncontrolled driving that can forever change lives. 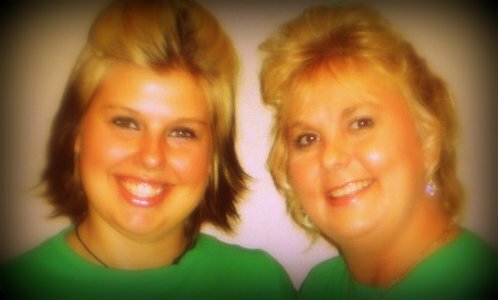 I Can Only Image video montage: I Can Only Imagine was one of my daughter Shayla’s cherished songs. The pebbles in this video are part of a special cause: The Heart Pebble Movement includes over 200 pebbles set into a variety of water sources and continues on. The white butterfly surrounded by blue sky is what I saw when I was in Maui on what would have been my daughter’s 22nd Birthday. 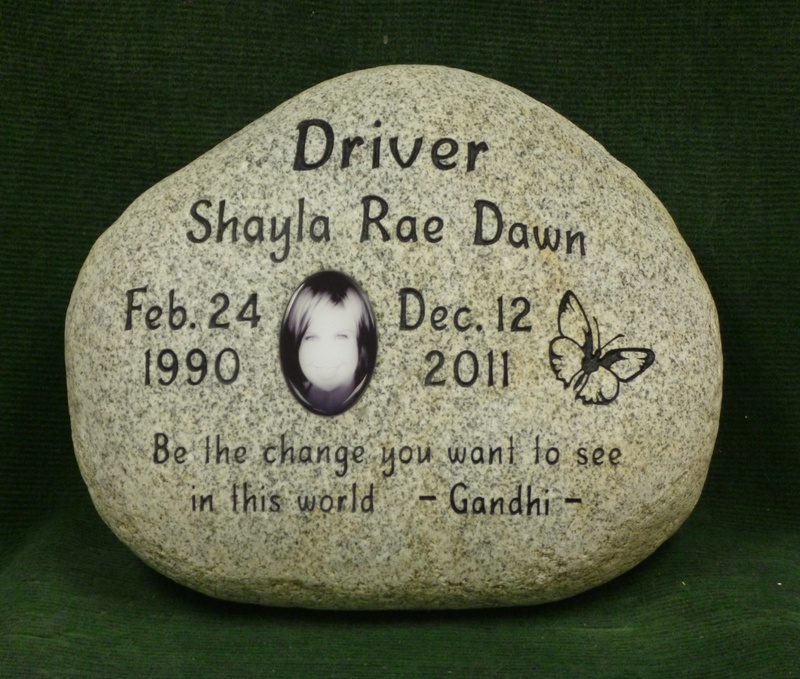 Shayla’s symbol was the butterfly; she may be gone, but forever she will have a ripple effect on the world.